Recent heavy rains throughout the Midwest have caused the Mississippi River to flood significantly. 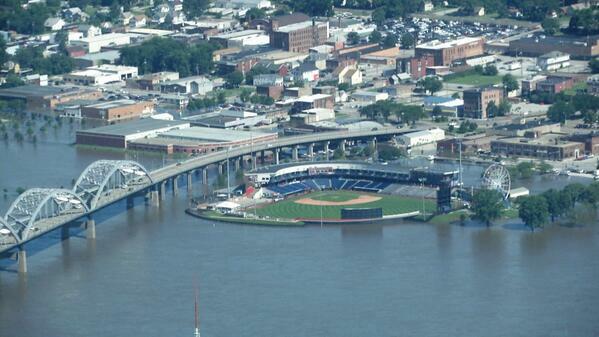 Modern Woodmen Park, home of the Quad Cities River Bandits, is completely surrounded by the river, as seen in the photo above. 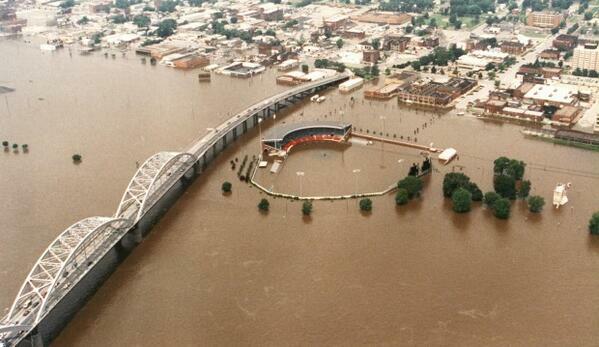 The ballpark is located along the banks of the Mississippi, so this sort of flooding happens around it from time to time. Flooding of this level last happened in April 2013, which you can see photos of here. The April 2013 flood caused installation of the new Ferris wheel behind Modern Woodmen Park to be delayed until earlier this year. The Ferris wheel, which opened to the public in May, is on top of a raised hill, so it is not affected by the flood. In fact, the River Bandits are offering half-priced rides during this weekend’s games. The river is expected to crest tonight at 20.8 feet, the Quad-City Times reported. The record crest in Davenport is 22.63 feet, which happened July 9, 1993. 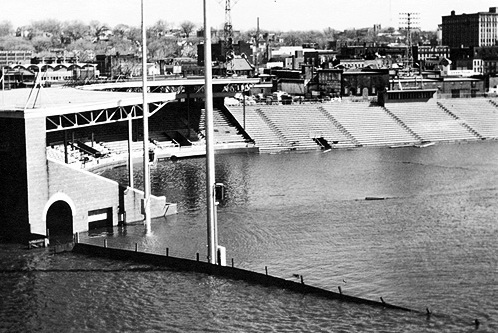 That was before a full-scale renovation to Modern Woodmen Park — then known as John O’Donnell Stadium — that included construction of a berm encircling the outfield to protect the ballpark from flood damage. 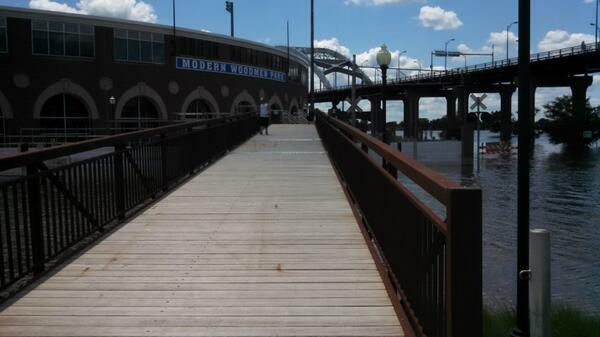 I’m planning to go to Saturday’s game at Modern Woodmen Park, so expect to see more flood photos after my visit there. 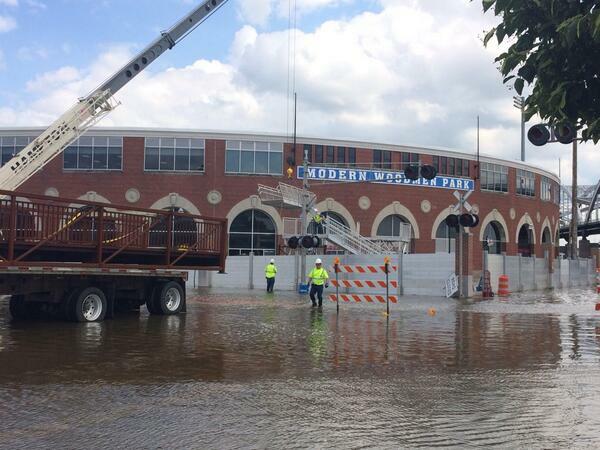 Also, check out more flood photos from around the ballpark and downtown Davenport on the Quad-City Times website.